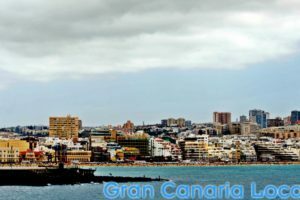 Gran Canaria’s a holiday island. So, it’s perfectly set up to accommodate families looking to have some fun in the sun on the playa. 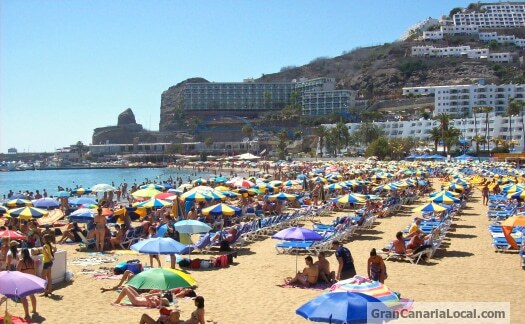 However, there are Gran Canaria beaches which are more family-friendly than others. Allow us to introduce you to our four faves. Living in the capital as we do, Las Palmas de Gran Canaria’s Las Canteras is our playground. It’s the beach 4/5 of our family members learned to swim on. The exception to the rule being our 100% guiri. However, the guiri did learn to surf here, at the La Cicer end of the beach, and has more recently tried his hand at SUP which he found considerably easier. 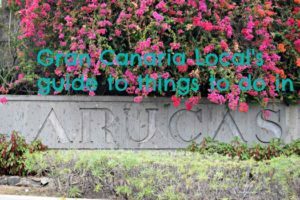 What makes Las Canteras one of the great Gran Canaria beaches is its sheer diversity, a natural habitat for water sports, sunbathers, and strollers on the promenade above. At 2.8km long, it’s also the stretchiest shoreline on the whole island. Another of our favourite beaches in capital is Alcaravaneras. It’s the closest to where we live in Arenales too. So we like to whizz there on our bikes, along the Avenida Marítima. A small, compact beach, it’s difficult for kids to get lost on Alcaravaneras. And the gentle, near non-existent waves make it a popular place for toddlers to splash about. Our eldest sons have learned how to canoe here too. It’s a cliche but that’s because it’s true. Yes, Gran Canaria really is a miniature continent. So where the north’s cold (comparatively speaking with temperatures rarely dipping much below 22 degrees even at night) the south’s hot (sometimes up to and over 10 degrees or more). And where’s the east is cloudy, the west boasts clear skies. So, Puerto Rico in the south-west of the island can claim to offer arguably the best climate on Gran Canaria. Its name, identical to the famous Caribbean country, doesn’t appear entirely coincidental. 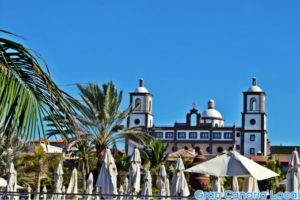 For this is a totally tropical resort, complete with palm trees, whose playa, one of the prettiest Gran Canaria beaches, has a gentle surf which is ideal for doing the doggy paddle. Like Puerto Rico, you’ll find Mogán in the south-west of the island. 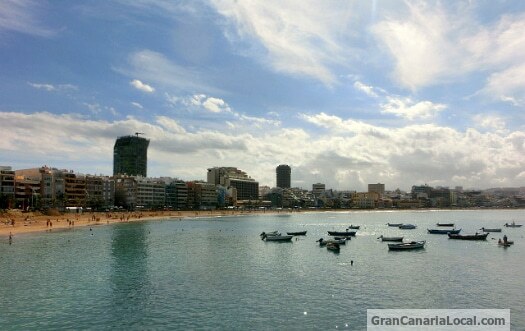 Like its neighbour, it’s one of the man-made Gran Canaria beaches. But, in common with Tenerife’s Las Teresitas, it’s a synthetic beauty easily mistaken for the real thing. Both PR and Mogán are family resorts, more relaxed than boisterous Playa del Inglés. We like to stop off for a break at Mogán on our way to the family finca in La Aldea de San Nicolás. The only problem is getting the kids back into the car to resume our journey. Thank you for this beach guide to family-friendly beaches. 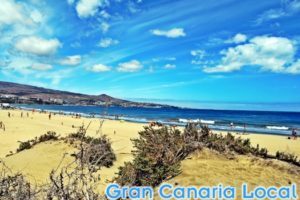 We never visited Playa de Alcaravaneras, but based on your recommendation I think we will visit the next time we visit Gran Canaria. Thanks, Anna. We have visited Anfi del Mar as a family. Patalavaca’s very child-friendly too. Being so sheltered, you’re protected from the wind you get on another beaches like Sardina del Norte. Thanks for the great guide. Having been on a few less-than-family-friendly beaches in my lifetime, this is certainly a nice resource to have out there for anyone traveling. I’ve never visited Gran Canaria, but I may have to, it looks beautiful! My family is still in the UK but we’re now closer to my wife’s family who live over here. 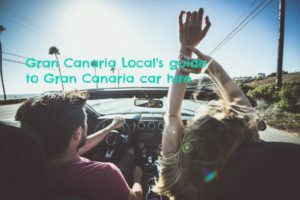 Hi Gran Canaria Local, thanks for the great travel tips, the reviews, and the hints, including the four of our family’s favorites.